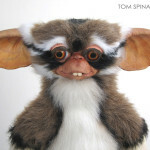 Our restoration of Lenny, an original Gremlins Mogwai puppet from Gremlins 2. 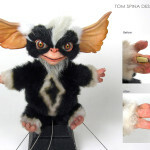 Not every movie prop restoration is a dramatic transformation from before to after, a perfect example is this original Gremlins mogwai puppet. Lenny arrived to our New York studio is fairly good condition but his snout, nose and lip did need some light repair work due to post production damage to the fragile foam latex. 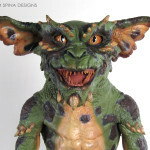 With all of the Gremlins puppets we’ve restored, we had many screen shots and photos from the film, so we had a great deal of reference material to work from. 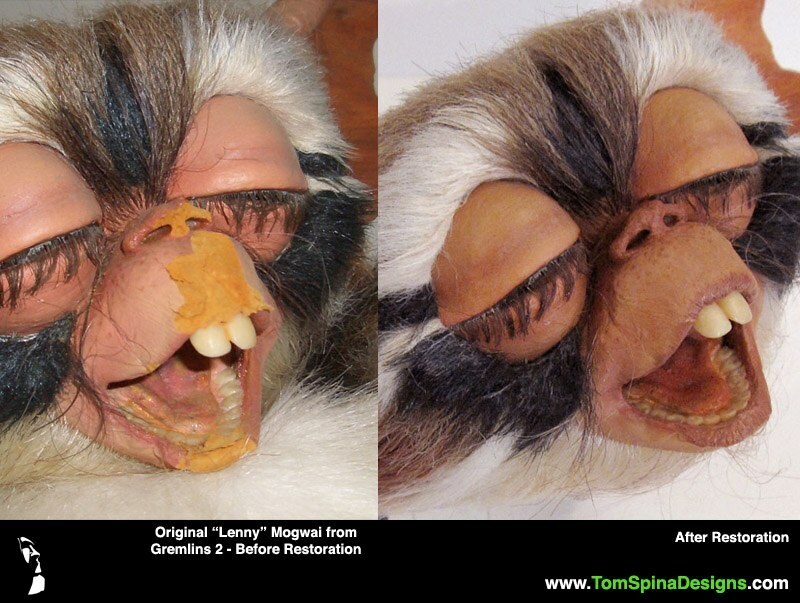 We stabilized the crunchy foam latex on the prop’s mouth and then patched the damaged areas with archival materials. 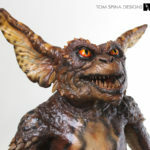 The subtle repairs really brought his face back to the way that Rick Baker’s studio had originally sculpted it for the film. We then carefully matched the paint of our restored areas so that they blended well with the original material. The result is a repair that’s very tough to spot!